Unlocking a Trillion Dollars in Natural Resources. Carbon Dollar X is an asset backed security token, created from the company’s own need to monetize old growth forestry assets, while preserving them for future generations. Through strategic acquisitions and development Carbon Dollar X will create the most advanced Exchange and Settlement Platform, for trading any type of security, currency or carbon credit. Despite the fact that many developing countries have billions of dollar worth of natural resources, they are still impoverished and cannot provide potable water and or reliable electricity. The choice should not be between bulldozing a forest or feeding and housing your community. With our new financial framework, governments and investors alike can unlock desperately needed financial resources. 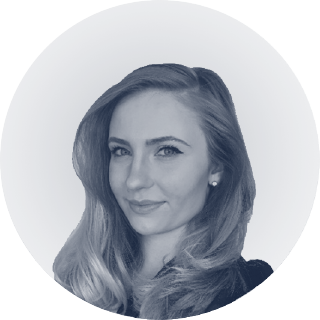 The intention is to establish an asset backed digital marketplace and bring into existence a modern and effective exchange and settlement platform that is synonymous in quality and efficiency with the leading global FX exchanges, but for alternative investing and financing for developed and emerging markets. 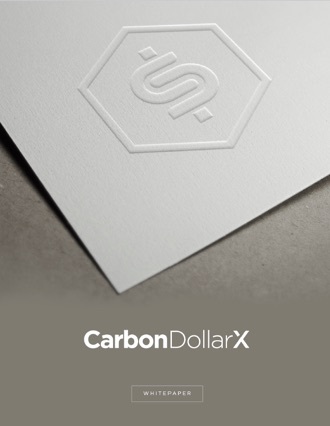 Carbon Dollar X’s mission is to establish a universal platform that is financially liquid and has the utmost security and confidence, upon which to trade ubiquitously with all exchanges, and settle in any currency. 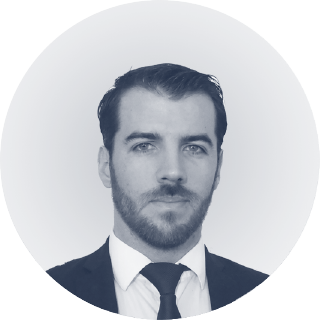 The objective of Carbon Dollar X, is to be the global standard for digital asset exchange with a real-time transaction workflow and settlement ability, in an ultra- secure environment. This digital security investment, is asset backed allowing for stability and expansion. The through put and security of its proven technology has been tested for years with hundreds of thousands of real time transactions daily, in complementary industries. The technology is now designed to provide near real time settlements for all platform nodes. Ian’s been an entrepreneur since undergraduate days launching an organizational transformation consulting company in 1971. He focused on the healthcare sector, and hospitals specifically, resulting in a sterling reputation across his native Canada. This early work involved some of the most renowned transformations in the healthcare scene including the founding of the first ever program designed to teach physicians how to be medical school Deans and Department Heads. An Organizational Psychologist by formal education, Ian is widely regarded as a possibility expert. His clients and colleagues frequently refer to and access his uncanny ability to see game-changing possibilities others don’t see and turn them into profitable new realities. Over time his consulting work expanded into a wide variety of industries globally and across North America including technology companies, government ministries, professional services, education, manufacturing, finance and insurance, agriculture and retail operations. Major companies such as KPMG, Royal Bank of Canada and UNIFI Insurance retained his services for well over ten years. Year after year he was able to expand their thinking to see the opportunities all around them. Ian is Founder and Board Chair of Corrgenta Coding System LLC, an Arizona-based company with access to a software technology capable of automating a process for identifying faults and errors in legacy software code. Corrgenta is also automating a process for the creation of new fault and error-free programs. Faulty software is an almost incalculable expense for world businesses. This technology is well along in development and commercialization. Ian has also created the Congruent Ventures Network, comprising ten synergistic yet game-changing technologies ranging from retrofitting vehicles to electric power, a frequency research laboratory, phase-change-management insulation, to plant based medicinals to natural intelligence semiconductors. He’s also written seven books on leadership and contributes frequently to various professional blogs and newsletters. Ian and his wife Georgia live in Scottsdale, Arizona and hold dual citizenship with Canada and the US. 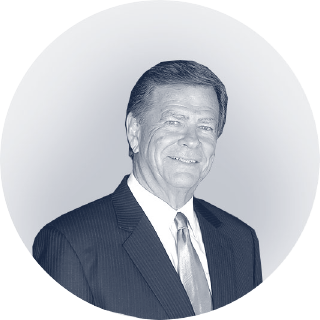 Mr. Douglas Johnson has proved himself an exceptional senior executive with diverse business development, program management, operations management and strategy development experience. He has repeatedly led the development and implementation of complex turnaround and new business strategies. Although it’s difficult to put over 30 years of working at the highest levels of corporate America into a short bio, some of Mr. Johnson’s experience is displayed below. As a Senior Consultant on the staff of the Westinghouse Vice President of Corporate Planning, Mr. Johnson was responsible for review and analysis of major investment programs, including acquisitions, with recommendations for corporate action. He also served as advisor to Business Units for long range strategic plan development. Mr. Johnson was also the Manufacturing Manager of Westinghouse Elevator. He managed Three plants with over 1200 employees producing Elevators, Escalators, and Components. These employees were both Union and Non-Union. He maintained production and increased output of key products while initiating closure of the largest, oldest plant, transferring products and significantly increasing volume at the newest plant. Mr. Johnson also led the development of all marketing programs for the Westinghouse PCB Service Business, winning top Corporate Marketing Award. As General Manager, led the Allis Chalmers Residential Transformer business from $18.0 to $30.0 million in sales—a doubling of market share and a tripling of volume, for the transformer product line. These gains resulted from facility rearrangement and productivity improvement. During this time employee population remained essentially unchanged. As Assistant to the Vice President of the Power Generation Division of Babcock and Wilcox, Doug helped chart the turnaround strategy for this very troubled business. He led a wide variety of problem identification, plan definition and progress monitoring efforts. Mr Johnson developed the strategy and gained approval for a Polychlorinated Biphenyl (PCB) Service Business for Westinghouse. The business involved the removal and disposal of PCBs from electrical equipment. He grew the PCB Service business from $1.5 to $37.0 million sales, utilizing aggressive marketing plus joint ventures for added technology. Mr. Johnson has consulted hundreds of businesses, stretching across all sectors and markets, in his capacity as a Management Consultant. He is also proficient in software code and advanced mathematics. Mr. Malek, graduated with Honors from University of Hull, United Kingdom in Bachelor of Science in Special Accounting, joint the banking industry as Management Trainee. Moving between all departments within the bank from Account Back Office, Trade Finance, Operation and Credit (Credit Risk and Loan processing involving consumer, commercial and corporate). Was confirmed and given a post as Senior Officer in the Credit Department. Promoted to Assistant Manager in 3 years; the Credit Department – Commercial and Corporate and was again promoted to Head of Credit for Johor Bahru Main Branch the next year to cater mainly Corporate customer and was transferred to Small Medium Enterprise Branch as also the Head of Credit overseeing the manufacturing customer’s base. Stayed with the bank for nearly 10 years and resigned in 2002. Has been independently giving consultation since then. Mr. Malek is well verse in the Banking (Offshore and Onshore), Financial Institution Act, Law of Contract and AMLA.In 2014, was appointed by Maisha Group as Financial Consultant in the corporate exercise for the refinancing of CLC Power Company Ltd, Dhaka, Bangladesh 108 MW HFO Fired Power Plant amounting to USD110 Million. The plant was fully completed with Commercial Operation Date in 2015. Then in 2015 was involved in the acquisition of 1,320 MW Coal Fired Power Plant concession license in India. Currently involves in direct negotiation with a public listed Thailand company together with International Coil Ltd (Indian conglomerate) for the corporate equity takeover and development of the above mentioned power plant in India costing USD1.75 Billion. He is also participating in the take over of 20,000 acres of logging concession in Myanmar with gross estimated income of USD400 Million in 8 years. Recently, he was appointed as one of the Advisor for Gagasan Ekonomi Baru, a Non-Governmental Organization think tank in giving new ideas for new business set up. 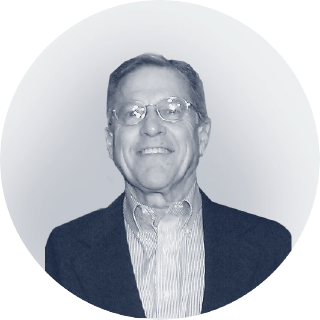 Dr. Gerald Kurz has more than 20 years experience in international enterprises technology; Jacobs Suchard, Knight Wendling and Gemini Consulting. He has also held active leading positions for logistic service enterprises as Kühne & Nagel in Switzerland and Dachser in Munich. 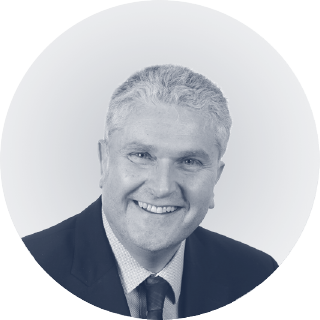 His core strengths are found in information technology for banking, accounting and logistics and, since 2000, has been Chief Executive Officer for Business Gateway AG, specifically concentrating in data connectivity and conversion systems. Gerald's academic studies include Ph.D., MBA, BBA and Dipl. Betriebswirt from Clemson University (USA), Graduate School of Business Administration in Zurich (Switzerland), University of Applied Sciences in Augsburg (Germany) and University of Pecs (Hungary). Prior to joining the Company, Mr. Yaw as a management consultant helped two New York-basedInvestment Advisory and Private Equity firms to open offices in New York, Los Angeles, Johannesburgand Hong Kong and currently assisting to raise funds for the Hong Kong office. In Malaysia, Mr. Yawwas providing management and financial advisory services to a couple of companies involved in somegovernment mega projects in Oil & Gas Pipeline, Cargo Container Scanning, Auto License Plate RFIDDetection, Wind Energy related Power plant and Clean Water Pipeline industries, just to name a few. 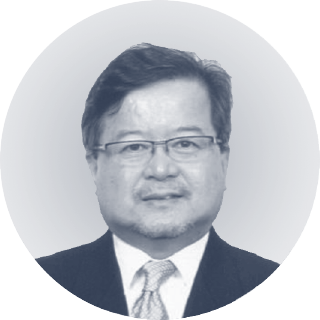 In 2012-2014, Mr. Yaw as the Head of Private Equity at RHB Investment Berhad, the third largestuniversal bank in Malaysia and in 2005-2012, he was appointed as the Senior Vice President, ExecutiveDirector and Head of Private Equity at Dubai Ventures Group Sdn Bhd (“DVG”). DVG was a whollyowned subsidiary of Dubai Group, whose sole shareholder is HH Sheikh Mohammed bin Rashid Al-Maktoum, the ruler of Dubai and the Prime Minister of the United Arab Emirates. DVG was the regional office for Dubai Investment Group in Kuala Lumpur and its primary investment focus was equity investment in this region including Malaysia, Singapore, Thailand, Indonesia, Vietnam, Philippines, and North Asia including China. DIG had regional offices in Kuala Lumpur, Hong Kong, London, and New York with its HQ in Dubai, UAE. Prior to joining DVG, Mr. Yaw was with Malaysia Venture Capital Management Berhad (“MAVCAP”) andCradle Fund Sdn Bhd. two wholly owned subsidiaries of the Ministry of Finance Inc., Malaysia, which isthe investment arm of the Malaysian government. He was the Senior Vice President of Direct Ventures,in charge of Seed Ventures and Agency Ventures and was instrumental in the strategic implementation of the Cradle Investment Program in November 2003. Mr. Yaw was born in Malaysia and has lived in the United States of America for 21 years, first as acollege student and then soon after graduation, as an entrepreneur starting and participating in sixstartup companies. For Corporate Social Responsibilities activities, Mr. Yaw is also the co-founder andChairman of Muzium Gopeng Management Berhad, a local philanthropic community society in thepromotion of oldtown revival and preservation of local artefacts, arts and antiques in Gopeng. Hegraduated from Oral Roberts University in Tulsa, Oklahoma with a Bachelor of Science degree inComputer Science and Theological Studies. Salleh is a qualified forester and a member of Institut Rimbawan Malaysia (IRIM) or Institute of Foresters Malaysia. Born in Negeri Sembilan in 1940, Salleh had early education in Sekolah Rendah Inas, Tuanku Muhammad School, Kuala Pilah and the Royal Military College, Port Dickson. He then obtained B. Sc Forestry at Adelaide University and a Diploma in Forestry from the Australian Forestry School, Canberra on a Colombo Plan Scholarship in 1964. Upon returning home, he joined the Forestry Department, Peninsular Malaysia where he rose to head the Forest Inventory Unit and was responsible for the first national forest inventory. He then pursued a Diploma in Photo Interpretation at the International Center for Aerial Survey and Earth Sciences in Delft, Holland in 1969, and later a M.Sc and Ph. D at Michigan State University in 1974 and 1977 respectively. In 1994, he followed a three month Advanced Management Program at Harvard Business School, USA. Upon returning home in 1977, he was appointed as the Director of the Forest Research Institute Kepong and when it became a statutory body in 1985, Salleh became its first Director General, until he retired in 1995. 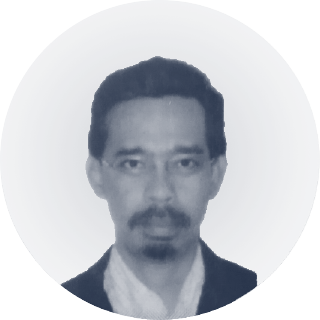 He was an adjunct Professor at University Putra Malaysia from 1994 until 1996 and now manages a contract R&D Company on plant biotechnology and forest consultancy business promoting sustainable management of forests. 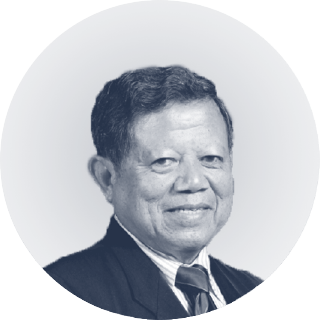 Salleh is active in many organizations both locally and internationally, notably as President of the Malaysian Nature Society since 1978 and President of the International Union of Forest Research Organizations (IUFRO) from 1991 to 1995. He continues to serve on a number of national committees, such as the Malaysian Business Council and the Second National Economic Consultative Council (MAPEN II). He sits on the advisory committees of the National Science Center, the National Planetarium, the National Park, and Programme Advisory Committee of the Palm Oil Research Institute of Malaysia (Malaysian Palm Oil Board). Internationally, he was a member of the Executive Board of IUFRO as Past President, the Board of Trustees of the International Network on Bamboo and Rattan (INBAR) and past Chairman of the Asia Pacific Association of Forest Research Institutions (APAFRI). He was a member of the Scientific and Technical Advisory Panel of the Global Environmental Facility (GEF), the Research Advisory Committee of CGIAR and Chairman of the IUCN East Asia Group on the Sustainable Use Initiative. For his services, Salleh was awarded the D.S.N.S by Yang Dipertuan Besar of Negeri Sembilan (1989), the Inaugural Langkawi Award (1991), the Third World Network of Scientific Organisations Award (1991), the National Science Award (1993) and the Asean Achievement Award for Environment (1995). He was awarded the Honorary Doctorate Degree from Universiti Kebangsaan Malaysia (1992) and theUniversity of Aberdeen (1993). He is an Inaugural Fellow and current Vice- President of the Academy of Sciences Malaysia and a member of its Council. During his tenure in FRIM, he was active in managing research and participated in numerous research management courses at FRIM, Singapore, China and India, in collaboration with IDRC of Canada. He specialized in research policy, research methodology, monitoring and evaluation. He continues to give part time lectures on specific topics of management of R&D. 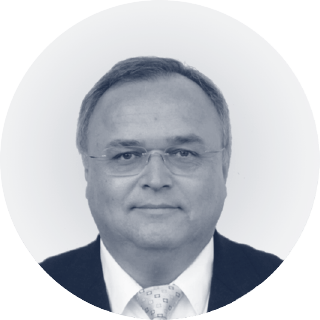 He is also the Executive Director of TropBio Research Sdn. Bhd., an approved private sector Research and Development Company, specializing in the area of Biotechnology. 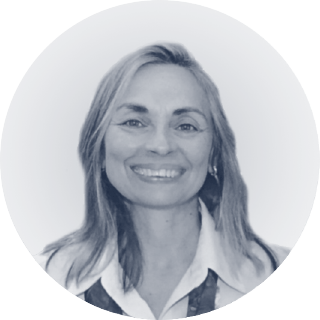 Salleh is spearheading the organization’s efforts in developing technologies to improve the growth and economic performance of tropical trees and plants. Others companies in TropBio Group include TropBio Forest Sdn Bhd, a forestry, landscaping and natural resources consultancy company.